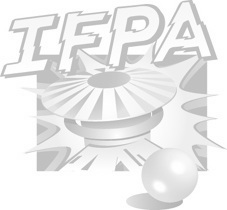 Join us for the Saturday IFPA Tournament at the White Rose Gameroom Show! 11am to 2pm - Three Hours of Match-Play - Four-Player Match-Play (7/5/3/1 scoring). We'll play as many rounds as we can get in during those three hours. People are allowed to join mid-tournament, but will start with zero points. A-Division: Top 8 play in PAPA-Style 3-Game Match-Play Finals on finals machines with same (7/5/3/1) scoring. B-Division: Next 8 play in single game double elimination bracket with games on the floor. C-Division: Next 8 play in single game double elimination bracket with games on the floor.